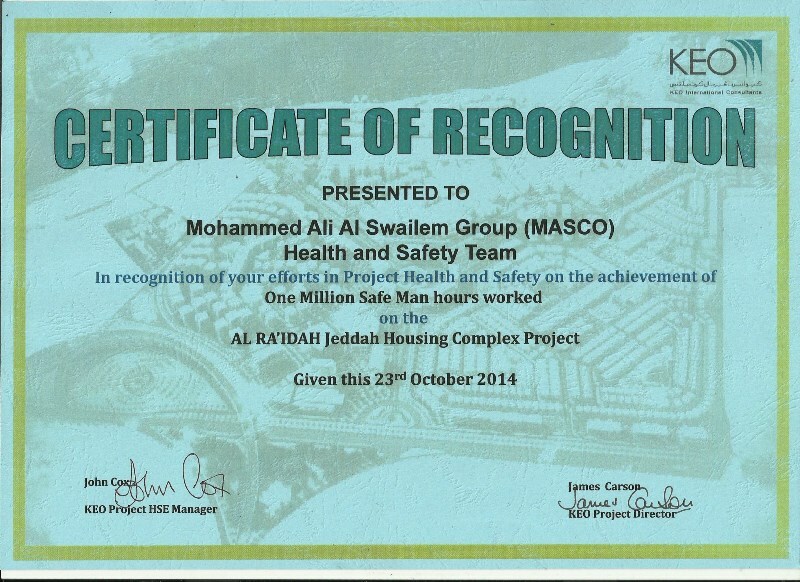 MASCO was presented with Certificate of Recognition for Health and Safety on Al RA'IDAH Jeddah Housing Complex Project. 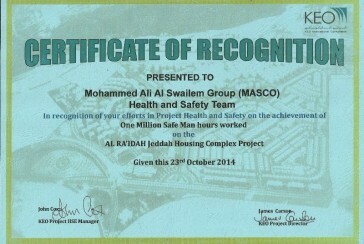 The Certificate was presented on 23rd October 2014, in recognition of MASCO's efforts in Project Health and Safety on achievement of 1 Million Safe Man hours worked on the Al RA'IDAH Jeddah Housing Complex Project. The Certificate was presented to MASCO by KEO International Consultants, on the Project.